One of the fiercest competitions in the upcoming March primary in Texas is for an office a lot of people never really think about: Texas Land Commissioner. 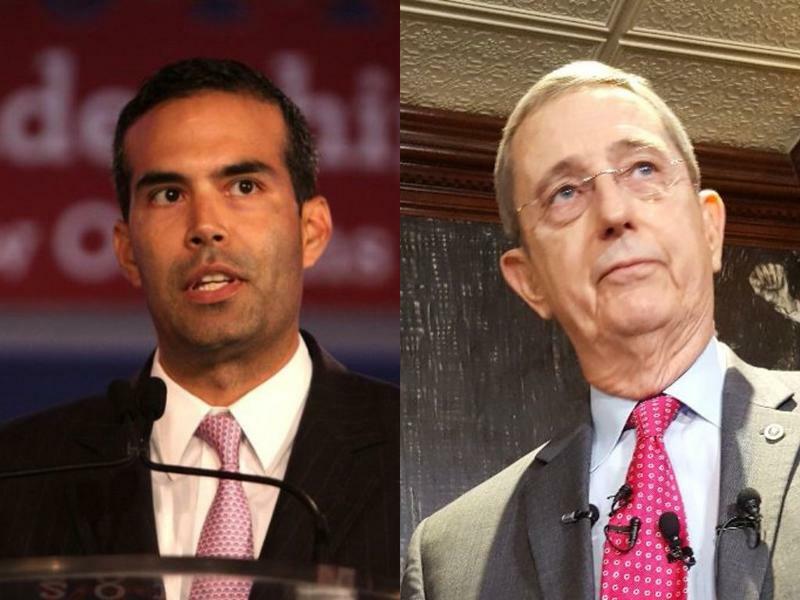 George P. Bush is the incumbent — one of those Bushes trying to fend off three Republican challengers, including Jerry Patterson, who used to be the land commissioner. Patterson took a lot of people by surprise when he launched his campaign to take back the office he left three years ago. At the forefront of this race: Hurricane Harvey. Part of the land commissioner’s job is overseeing the state’s response to housing needs following a disaster. 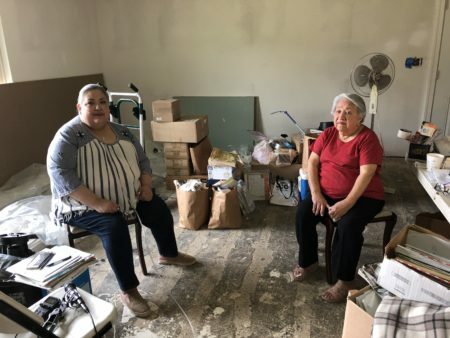 Bush and Federal Emergency Management Agency officials have been criticized for taking too long in getting people back in their homes. When asked about his office’s response time, Bush defended their handling of the situation. 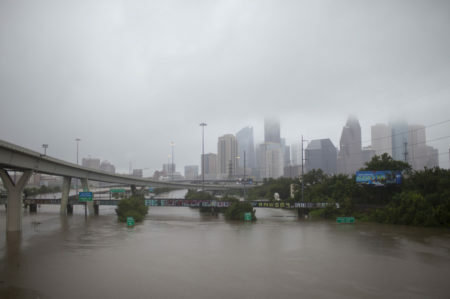 “We’ve delivered assets quicker, at least in Texas, faster than any other natural disaster,” Bush said. “But the magnitude of the storm will be the real challenge in the sense that some estimates put this at a $120 billion storm, affecting 1.2 million households. Former Land Commissioner Jerry Patterson said that’s not good enough. 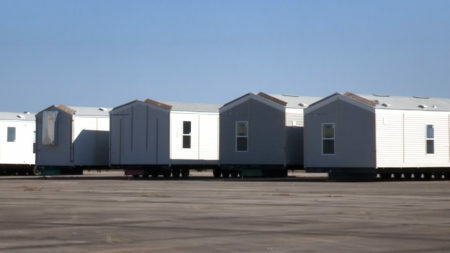 “Those people who are not back in their homes; they have vouchers for shelters for hotels, motels and apartment, which was costing at one time $2.7 million a day,” Patterson said. This month, Bush walked back a comment he made in an article published in the Bryan-College Station newspaper The Eagle, where he called on Gov. Greg Abbott to order a special legislative session to allocate funds for Hurricane Harvey relief. Patterson said after watching how the agency he used to run was handling Harvey aid, he started looking for a suitable opponent in the primary to defeat Bush. When he couldn’t find one, Patterson said he decided to run. Jim Henson, director of University of Texas at Austin’s Texas Politics Project said that’s quite a turnaround from four years ago. “I think if you drill down a little bit more into that race it’s hard not to find it interesting,” Henson said. To understand just how crucial this race to defining of what is a Republican in 2018, let’s hop back to 2014. By then, Patterson had been land commissioner for more than 10 years. He decided to try for another office: lieutenant governor. Enter Bush. “George P. Bush ran for that office to some degree of fan-fare as entered politics in Texas as part of the Bush-clan,” Henson said. Patterson thought him a fine successor. And, to no one’s surprise, Bush easily won the election. Henson said Republicans were happy. “He was seen as somebody with a lot of potential by lots of folks,” Henson said. Patterson wasn’t so lucky. He lost his lieutenant governor primary and decided to retire. But he kept an eye on Bush and said he quickly took issue with how he was running the Texas General Land Office. Henson said Patterson’s candidacy has put Bush on the defensive. But he said Bush hasn’t directly addressed Patterson’s entry into the race or Patterson’s criticisms about his response to Harvey. Then there’s the contentious issue of restoring one of the most iconic structures in Texas history: the Alamo. Since 2015, the Texas legislature has approved $106 million towards rebuilding and expanding sections of the Alamo. But that’s only one-fourth of the estimated cost. The rest will be made up by three non-profits Bush set up after his office took over the project. Bush bragged about his office’s efforts to preserve the historic site at the recent Texas Veterans of Foreign Wars Conference in Austin. But Patterson, some Texas lawmakers and Republican Party officials have taken issue with how Bush is handling the project, saying he’s not been transparent on the financial dealings and the site plans. But overall, Henson said, the race is really about two very different styles of Republicanism. “It’s an interesting dynamic that underlines some of the contention within the Republican Party,” Henson said. Bush comes from a more moderate-leaning wing of the Republican Party, Henson said, while Patterson represents a more conservative wing. “But a conservative member much more from the Libertarian wing of the party,” Henson added. Henson said similar matchups are happening all over Texas and across the country. 2018 primary races are full of Republicans who have very different ideas of what “Republican” meant, he added. Though, in the case of Texas Land Commissioner, the race might be less of a philosophical battle and more of a financial one. Henson said Bush has just over $3.3-million in campaign funds. While Patterson managed to raise just over $90,000 in the first month of his campaign.